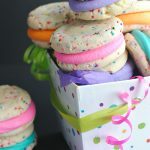 A Peek at the Fun: Birthday gifts for 10-year-olds, whether they are a boy or girl, can be hard to find, but if you’re looking for something creative and memorable to give, this is a fun way to surprise the birthday kid! Grab the free printable and then customize this gift to be perfect for your kiddo! Birthdays that fall right after the holidays can be hard! 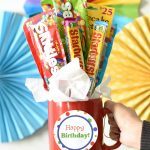 They’ve already gotten a bunch of presents and you’ve got no idea what else you can do to make the birthday kid’s big day a success! 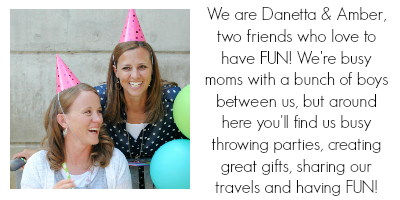 We’ve both got boys with January birthdays and both struggle to know what to give them for a fun birthday present. 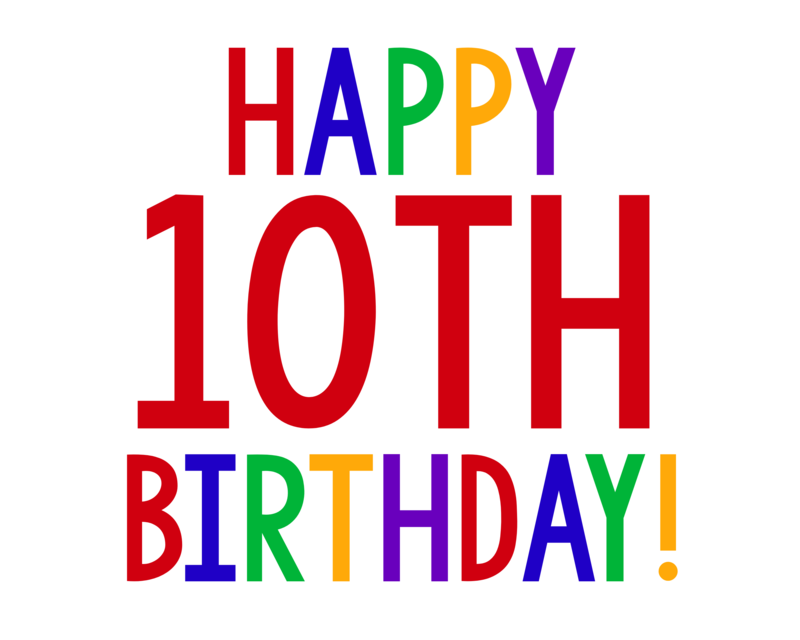 So this year when Amber’s little guy was turning 10, we came up with a fun idea. 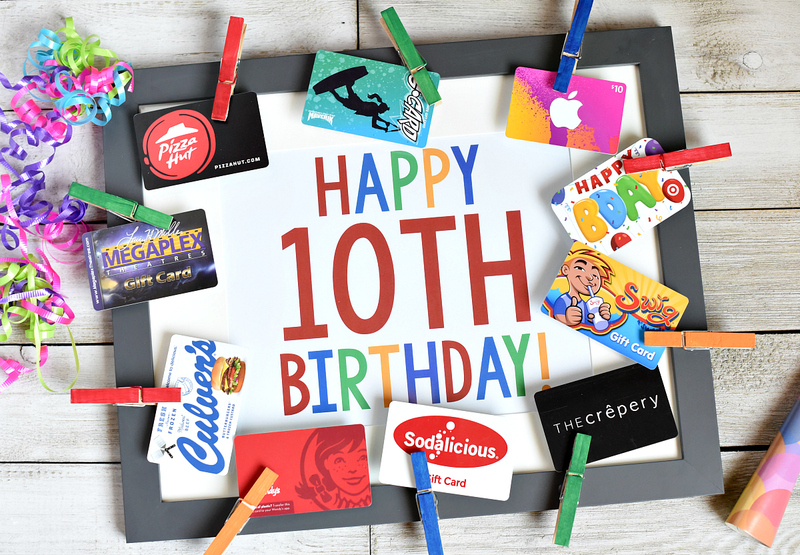 It’s 10 gift cards for the 10-year-old! 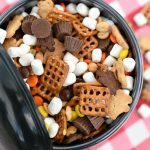 These could be fun birthday gifts for 10-year-old boys or girls (and honestly you could tweak it to be for any age if you wanted)! 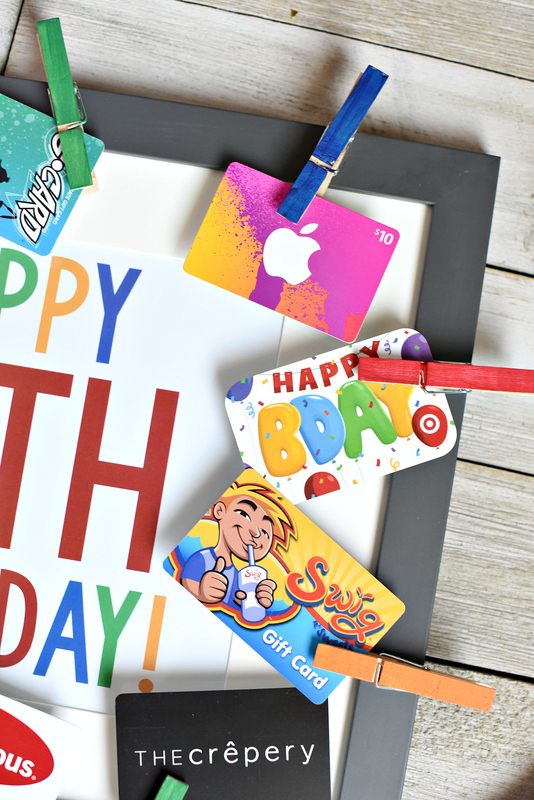 The gift cards for this fun birthday gift for 10-year-olds could be for anywhere and can be as big or as small as you want, depending on how much you want to spend and what the birthday boy or girl loves. And this was SUPER easy to put together-the hard part was definitely rounding up all those gift cards! This is easy to make, but here’s a break down of what you need and how we put it together. Large picture frame (like 11×14 or around that) so that you have room for the gift cards in around the edge. Once you’ve gathered up all the gift cards that you want to use (if you’re smart you could plan ahead and be gathering these for a while ahead of time so you can grab them when you are already at places), you can assemble this. Place the sign in your frame. Paint your clothespins and allow them to dry, then hot glue them around the frame. Insert the gift cards in each of the clothespins and you’re all set! 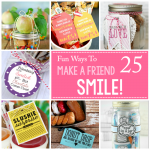 To make this more fun, you could do a treasure hunt to allow the kiddo to find the present! 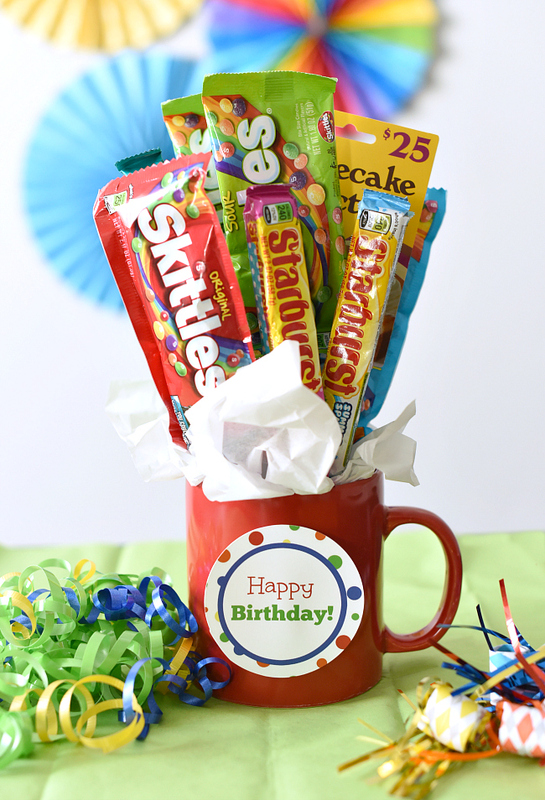 This birthday gift was SUCH a huge hit with this 10-year-old, hopefully, it will be for yours too! 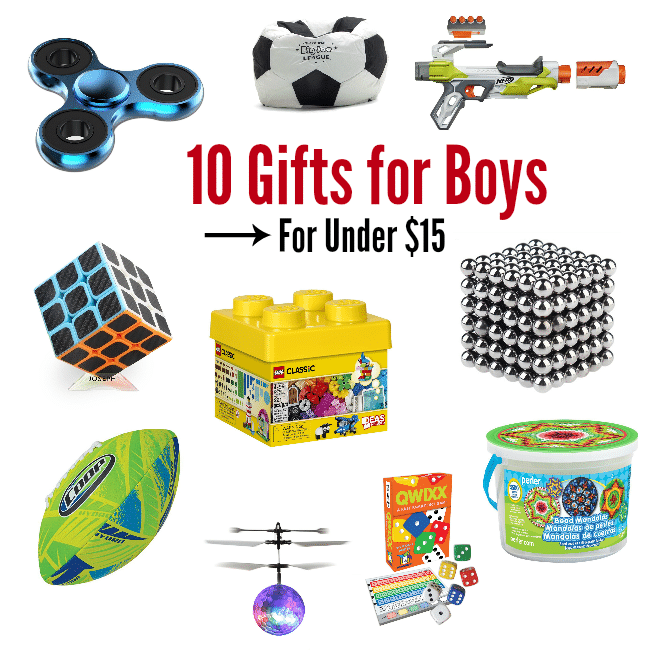 Have FUN giving these fun birthday gifts for 10-year-old boys and girls!